Antonio Conte is no longer Chelsea head coach, according to Sky in Italy. Conte now appears to have left Stamford Bridge after two years at the club, although Chelsea are refusing to comment on reports he is no longer in charge. 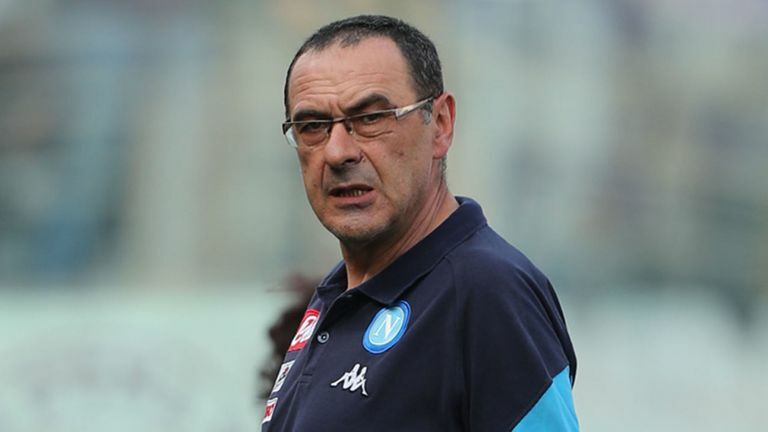 The Italian led the west London club to Premier League title glory in a successful first season at the helm but his second campaign proved far less harmonious and although they lifted the FA Cup in the spring, they could only finish fifth in the Premier League. Conte is now understood to have left his post with 12 months remaining on his contract, with Maurizio Sarri set to take over from his Italian compatriot at Chelsea. Former Chelsea captain John Terry has also posted a message on his Instagram account, saying: "Great man, Great manager. I wish you every success in the future." The Blues have, however, been linked with Napoli midfielder Jorginho, as well as CSKA Moscow midfielder Aleksandr Golovin and Juventus defender Daniele Rugani, if Sarri does take over at Stamford Bridge. Brazil international Willian could be on his way out of the club, though, with Barcelona understood to have returned with an improved £53m bid for him.